Corien is a Founder and Partner in Brand Clarity, an Ottawa-based marketing and communications firm that specializes in Brand and Brand Management Communications. In that role, she brings over 25 years’ experience in developing successful brand strategies and communications programs for organizations in a range of sectors, including education, public sector, technology, not-for-profit, associations and others. Despite her years with agencies, Corien comes from a client-side background that gives her a unique perspective on the client’s needs for real, practical approaches that deliver fast and quantifiable results. As a senior strategist, she shares her business expertise and insight with a wide range of clients. Education clients have included Lakehead University (brand strategy) York University (strategic communications plan), (branding) and Algonquin College (strategic marketing plan). She was also instrumental in working with WorldSkills International on defining a brand for this important organization and continues to provide support to Skills Ontario and Skills Canada on their work in educating the public and students alike on the value of careers in the skilled trades and technologies. In the public sector, Corien has worked with Corien’s clients have included Citizenship and Immigration Canada (EOI Program), NSERC (Key message development for the Canada Graduate Scholarship Program), brand and message development for Agriculture and Agri-Food Canada, a campaign to promote Canada’s Economic Action Plan for the federal Department of Finance, planning communications for the National Research Council and providing branding and communications for a number of Canada’s HR-focused industry sector councils. 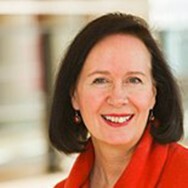 Her International Marketing experience was a primary focus during her CEO and VP Marketing roles in a range of companies including public Canadian and US firms, as well as nimble and innovative start-ups, and included marketing and communications for European and South American markets as well as Pacific Rim markets. Her technology client range includes companies like Mitel, JDS Uniphase, Borderware, Omnivex and PyroPhotonics. Client-side, Corien was VP of Marketing and Product Management for companies such as Simware, NetManage, Buystream and Trigence. Corien was also CEO for ServiceSwitch and FuseTalk, both of which were acquired. Corien also acts as a mentor to the business leaders of tomorrow. For three years she was the director of the Marketing Certificate Program at Carleton University’s Sprott School of Business, where she set curriculum and taught. She also spent several years teaching marketing at Algonquin and is currently on the faculty of the private Lead-to-Win, Ottawa’s leading program for entrepreneurs and young emerging executive leaders. Corien holds a Ph.D. from the University of Toronto.